“Charlotte-based Grandfather Homes is planning its next development of custom-built luxury homes in south Charlotte. 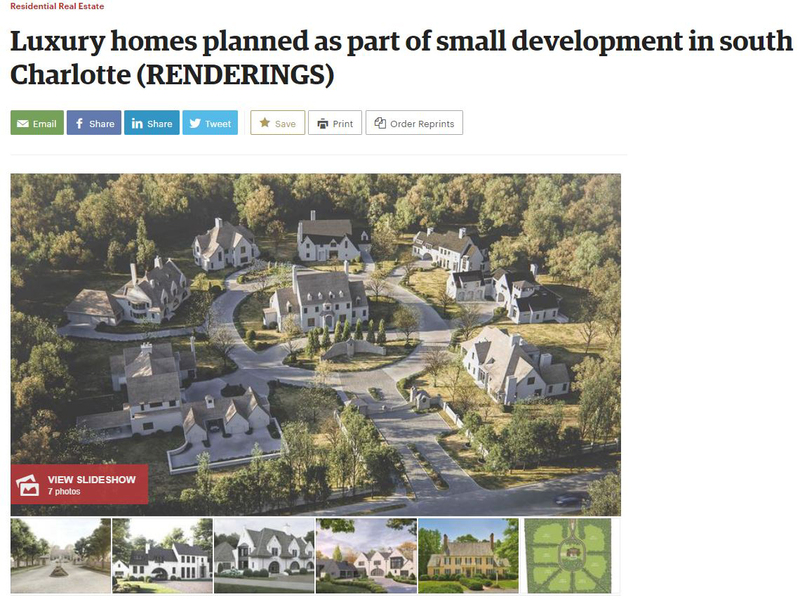 The local homebuilder says it will build seven custom homes around an existing 4,307-square-foot home that sits at 7230 Alexander Road, off Providence Road, in a new gated community that will be called The Manors at Mattie Rose. The new homes will feature an architectural style similar to that of the original manor, built in 1974 and slated for renovation.